Engineers, especially civil engineers, build things. It’s what we do, and we consider each project, large or small, “our” project. Being a civil engineer in the Army engineer branch was especially rewarding. We played with bridge sets, construction equipment, and building parts. Army combat engineering also meant building structures for war: runways, fighting positions for men and tanks, and obstacles to channel the enemy. Also, to every army engineer’s delight, the combat engineer mission takes things apart, usually with explosives. We learned how to blow up defensive positions, bridges, roads, buildings, other weapons, and pretty much anything that would make those channeling obstacles more effective. 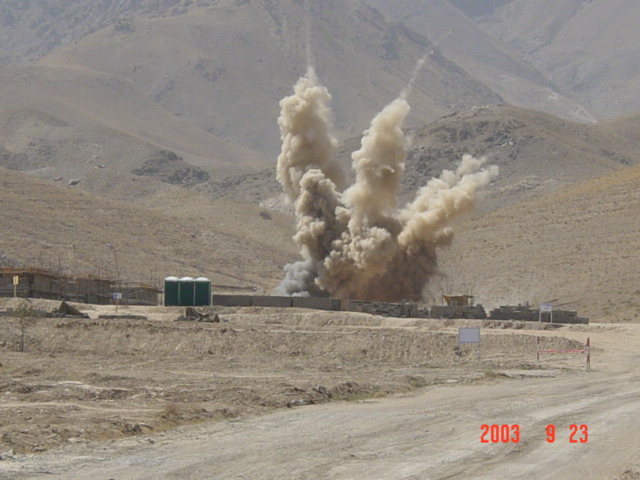 The daily blast of unexploded ordinance (UXO’s) found and gathered on a construction site. When I went to war in 2003 as a mobilized Army Reservist, I was several years into a civilian career building modern infrastructure standards, utilities, roads, buildings, airports, etc. While I stayed fluent in combat engineering, my expertise was in the non-combat engineering. Many times my mission downrange gravitated to infrastructure projects. Early in my tour we worked on building a small campus in Kabul that was to house a training site for Afghan National Army (ANA) senior officers. The site appeared to have formerly been a business with equipment storage, a multi-story building, some out buildings, and a water well inside a about a 3-acre walled site. It was downtown, about a city block from the Ghazi Stadium sports arena. During the 1990’s, the Taliban staged hundreds of executions and amputations in that stadium, then mopped up the blood, and continued to hold soccer or cricket matches. It made world news at the time. As we razed some areas and rehabilitated others in our soon-to-be campus, we got to the well. On the surface it looked, like many things in Afghanistan, straight out of ancient times. It was a large open ring structure at ground level surrounding a deep hole. We began excavating the well in hopes of bringing it back into use. With the excavated dirt came some bits of clothing…then the bones. There were too many skeletons to count. They all had one thing in common. We found no skulls. These were the bodies of those who were beheaded just up the street at the stadium. One could only guess where the heads went. Many times since, I’ve wondered how those atrocities made the builders of that stadium feel. An engineer tries to improve on the overall quality of life, health, and safety. At the end of a large project like that, they can look back and think about all the joy and memories that would be made at their new stadium. I could not imagine the horror that stadium builder must have felt upon learning that his crown jewel project had turned into a killing field. It had to weigh heavy trying to rationalize the greater good that project must have had over the years outside of Taliban rule. This might be in combination with the understanding that if one engineer would not have taken the job, another would have stepped up right behind him. 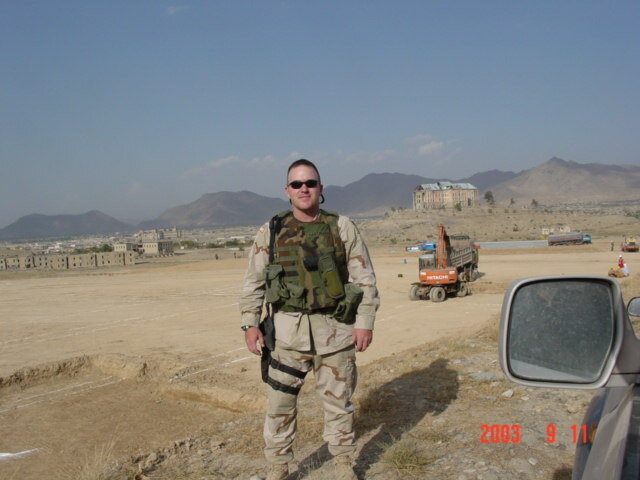 In 2004 I served with civil affairs (CAT-A) teams in southern Afghanistan, mainly in the Kandahar province. We were involved in countless “civil-military” operations helping to get the country, its provinces, cities, and villages develop the infrastructure they desperately needed. We ran the projects in the less permissive (dangerous) areas while civilian agencies ran projects in the more permissive areas. 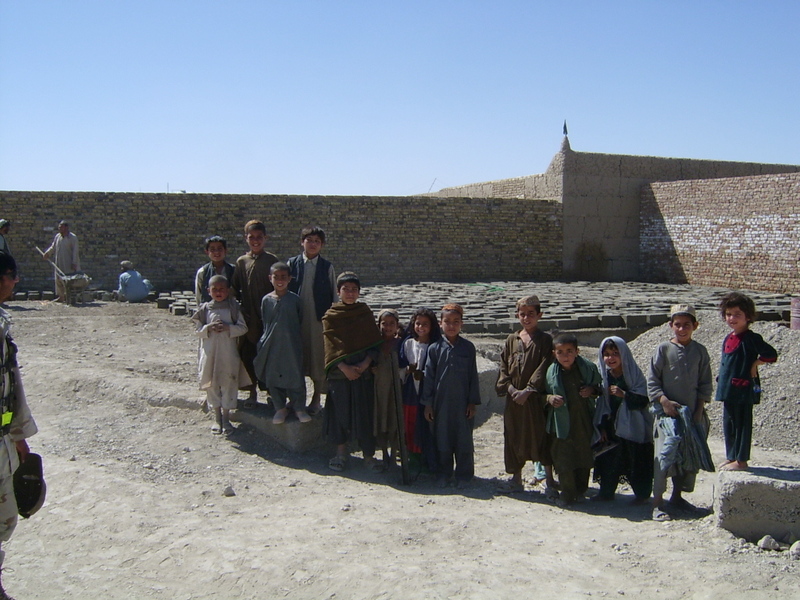 Our project list included clinics, power plants, bridges, roads, wells, and schools. We likened it to the Peace Corps with guns. My vocation prejudices me, but I firmly believe the world would be a safer and healthier place if every human had a roof over their head, a safe place to educate their kid, and a reasonably clean toilet. Everything else has a way of taking care of itself. 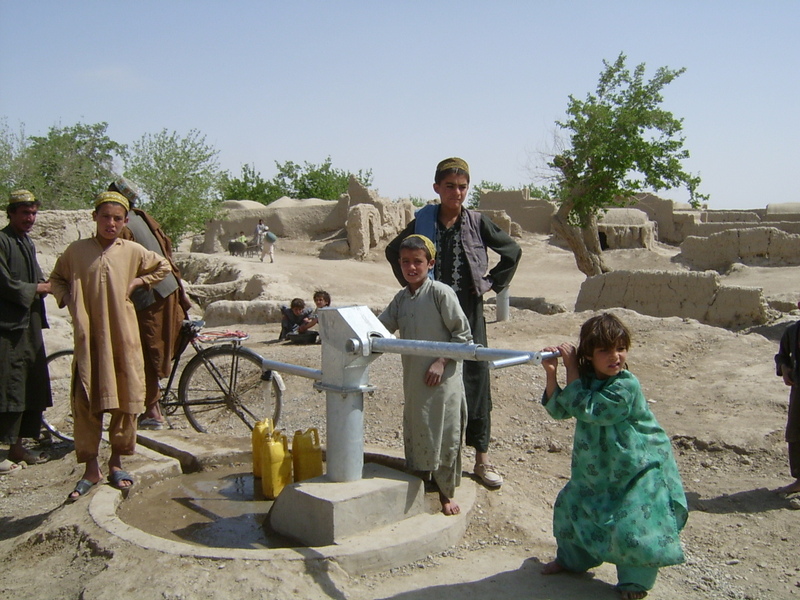 A new well in the Kandahar province. There were a couple new schools from scratch, but most of the school projects involved doubling the size of an existing school to accommodate girls. Under Taliban rule, women were to be hidden away and start cranking out babies once they hit puberty. Any education of females was forbidden. It was truly rewarding to see and help all these children get at least some education. I’ve been home for 10 years now and the good memories overshadow the bad. The schools definitely go into the good column. At least they did until last month. On December 17th, 2014, Pakistani Taliban killed 141 people, including 132 children, inside a school in northwest Pakistan. That also made world news. Anyone who’s fought or studied the Taliban can tell you why. Their reason is to make a point, THEIR point, about women and school and what happens if you go against Taliban teaching. If they can wrap that point up with the families of those schoolchildren being Pakistani anti-Taliban military, so much the better. This made me wonder what atrocities aren’t even making the news. A good portion of Pakistan and Afghanistan are basically the same country. There is no “Welcome to Pakistan” sign when you get to the border. Most people in the outlying villages couldn’t tell you, much less care, which country they’re in. These kind of killings, maimings, point-makings are going on everywhere the Taliban are trying to stay in power and feel like they can get away with it. They only make the news if they cross some threshold of butchery. All this circled me back to my schools. I can name every major injury or death on my civilian projects in my 20-year career and thankfully it is a single-digit number. Even these few weigh on someone trying to make a living improving quality of life one yard of concrete at a time. But now I went from wondering how many educations were given in those Kandahar schools in the last decade to how many kids had been killed, injured, or otherwise became a point made by the Taliban. I try to rationalize it. I try to get my head around all the good that can be done by all those now-educated children versus how much pain and suffering must have gone down inside those walls. The acid attack from a couple years ago made some news, that was one of our schools. I tell myself if our CAT-A team hadn’t run those projects, someone else would have. We were doing our job and had the luxury of seeing direct return on our efforts. I try to teach my own kids how good they have it without giving them nightmares. I pray that the unspeakable acts stop. My rational mind knows they won’t, so I do everything possible to ensure this stuff never darken the steps of my family or my country. I know I did my part, and so many others are doing their part, to see to that. We engineers come to appreciate the good things our projects bring to the world. Thankfully, most never have to contemplate the bad things.